Home | Chemical Ingredients | Alcoholic Ingredients In Hair Care: Good Or Bad? Alcoholic Ingredients In Hair Care: Good Or Bad? Is Alcohol Denat Bad For Hair? Is Benzyl Alcohol Bad For Hair? I’m sure you’ve all come across alcohol in its ‘natural’ form at some point or another. By natural form, I just mean that you probably have had a drink now and then. Some are more fond of it than others. The truth is that alcohol in moderation can be quite good for you, as long as it’s in small doses and not too often. However, modern consumers face a problem today. Alcohol and its chemical derivatives can be found in such a wide variety of skin, hair, and cosmetic products, that it’s easy for our systems to become overloaded with harmful chemicals. This may cause us to ultimately fall ill. Which is why it’s important for you to learn about ingredients. You need to know which to look out for and which are good for you. Many personal care products which claim to be natural, safe, and healthy can confuse the uneducated person with their ingredient lists. Lists containing words which primarily have negative associations wouldn’t be noticed by the average consumer. A common example would be ingredients which contain the word ‘alcohol.’ Many people associate this word with Ethyl Alcohol, and draw an unfounded conclusion that any ingredient with the word alcohol must be unnatural, unsafe, or unhealthy. Seeing alcohol in ingredients doesn’t have to be scary. Not all alcohols are created equally. Continue reading to find out the why and the how. Alcohol: not just for drinking. Whether or not alcohol is haircare is good or bad is dependant on the type of alcoholic ingredient that is being used. There are natural (plant-derived), safe (non-toxic), and healthy (promoting positive health effects) ingredients, and there are also ingredients which should be avoided at all costs. In general, most fatty alcohols are naturally plant-derived and have positive effects, act as emulsifiers, opacifiers, and contribute to the viscosity of creams and lotions. Cetyl alcohol, which is found in John Frieda purple shampoo, is produced from either petroleum or palm oil. This ingredient helps thicken the formula and prevents the oils and water from separating. Unlike rubbing alcohol, cetyl alcohol will not dry out skin or hair. It is also listed as non-toxic and is used many cosmetics and foods. However, many short-chain alcohols, such as Propanol, are synthetically derived and can have drying effects. When contemplating whether or not to purchase a product that contains an ingredient with the word ‘alcohol’ in it, consider the authenticity of the brand offering the product. You should then cross-reference from a reputable online database, such as EWG.org. It’s a great website to see whether or not the alcohol ingredient that’s used is safe or harmful. It’s important to know that alcohol is not a single chemical but a family of chemicals with different types of properties. 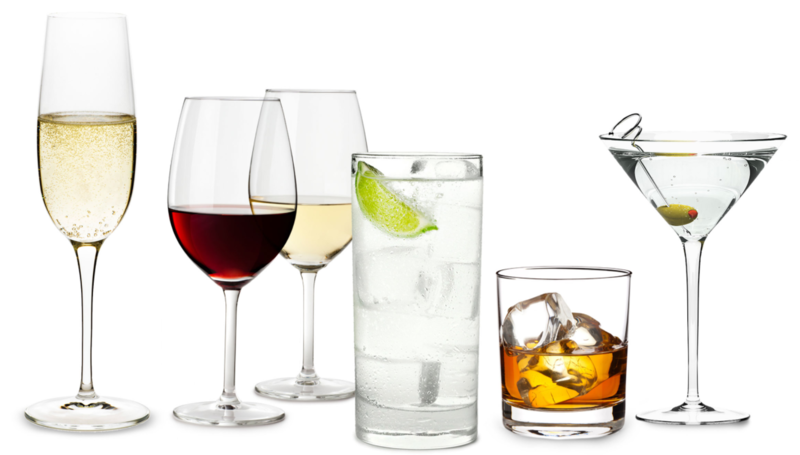 Depending on the specific properties, the alcohol is either good for your skin and hair or bad. There’s a difference between drying alcohols and fatty alcohols. Drying alcohols have less than three carbon atoms in their structure. They evaporate very quickly which is why they are used in hair care products. 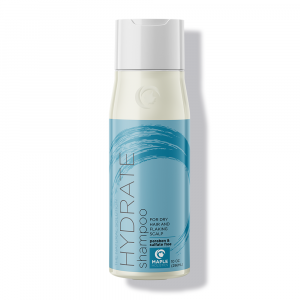 This helps decrease the drying time for products. These alcohols also strip your hair and skin of all their moisture, causing dry, brittle, and frizzy hair. Fatty alcohols have 12 carbons per molecule and are usually derived from natural sources. Vegetable oil is an example of a source of fatty alcohol. The fatty alcohols are able to provide lubrication and hydration because of their higher amount of carbon content. 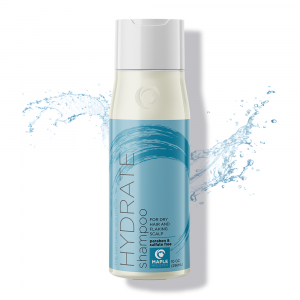 They absorb and lock in moisture which helps keep hair from drying out. Cetyl, Stearyl, and Cetearyl are all examples of fatty alcohols. 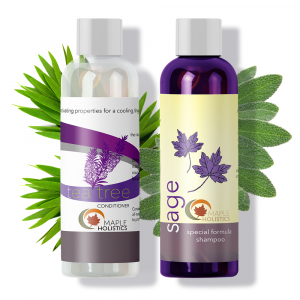 They are also commonly used in hair care products. 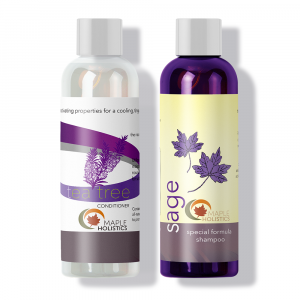 They encourage softness and help smooth down damaged hair cuticles. As you can see, some alcohol can actually be beneficial to your hair and not just wreak havoc. The first things we should try and understand when it comes to the subject of alcohol denat are, what exactly it is and how it could be harmful to certain skin types. It’s important to know that alcohol denat is not a natural form of alcohol but rather a product of industrial filtering. It’s done to create a mixture that is purposefully toxic. You may be wondering why someone would do this. It’s largely a safety mechanism to stop alcoholics from drinking the products on shelves (as most of them contain ethanol to some degree or another). This might make sense in some ways but is altogether an entirely backward approach to the issue at hand. It’s, therefore, a lot easier to see why something containing denatured alcohol would be bad for you – because it’s supposed to be bad for you. Just because you don’t directly ingest or consume the alcoholic products doesn’t mean it won’t have an effect on you. Applying them to your skin, scalp, and hair will still give you a dose of the alcohol and all the nasty chemicals that come with it. Using these types of products will actively strip your hair of its oils that keep it soft, hydrated, and moisturized. It can cause dry, frizzy, and damaged hair in a short span of time. If you’re struggling with these issues, it may be beneficial to check all your hair products ingredients. If they contain alcohol denat (or isopropyl alcohol, acetone, methyl ethyl ketone, methyl isobutyl ketone, and denatonium) as they are the most likely the cause and source of the problem. Strangely enough, benzyl alcohol is actually a natural product that occurs in most plants and is commonly found in fruits and teas. In its natural form, it’s considered a lot safer since it’s much less potent. The problem is that most cosmetics, hair, and skincare product manufacturers opt to use a synthetic version of the alcohol which is made out of a combination of both benzyl chloride and sodium hydroxide. These chemicals are particularly harmful to sensitive skin types and are especially unsafe for use on young children. Studies have shown that benzyl alcohol affects the immune system and can ultimately lead to severe allergic reactions or skin sensitivities in users with naturally sensitive skin or those who are prone to allergies. Since a young child’s immune system is somewhat less developed than an adult’s, they are more at risk of developing a reaction on their skin. In some cases, it can even lead to death if the dosage is too high. It’s, therefore, best to be avoided by children under the age of 8, but avoiding this ingredient, in general, is probably a better idea. That being said, benzyl alcohol is considered safe for use in the right dosage and should never be higher than the 6th ingredient on the list (as a rule of thumb). The ingredient is commonly used in bath products, makeup, cleansing products, shaving products, as well as other skincare products. It’s a mild anesthetic and can help to relieve itching as well as a preservative that helps prolong the shelf-life of these types of products. 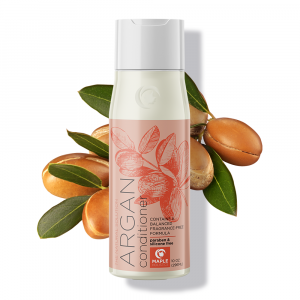 Ultimately, I would say that this ingredient should be safe when used within the recommended dosage, however, those with more sensitive or drier skin and hair types may find that it causes dry, frizzy and flaky hair. To those with allergies, the alcohol has been linked to the formation of contact dermatitis and should definitely be avoided if you suffer from eczema or psoriasis. 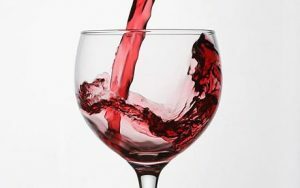 Alcohol in moderation can actually be beneficial to your health. It can lower your risk of cardiovascular disease since it raises your HDL levels, which is your good cholesterol. It may even be able to add a few years to your life. Putting alcohol in your hair is a very different story though. The best thing we can do to avoid these harmful chemical solutions and unnatural alcohols is to be mindful of the ingredients in the products we buy. You can also simply stay away from the ones that you don’t feel are safe to use on a regular basis. However, that doesn’t mean that every product that contains a small amount of benzyl alcohol or even denatured alcohol are definitely bad for you, it just means that you should use them sparingly. Be sure to limit the number of products that you use which contain these types of ingredients. Ultimately, I would opt for a more natural solution any time of day. A simple Google search will give you a long list of DIY recipes that are all natural, healthy, cheap and effective and this applies to skin, hair and even cosmetics products. The more you free yourself from the dependence on chemical-based products, the healthier and more money you’ll be able to save. Natural products are safe, effective and can be made in the comfort of your home – so you’ll always know exactly what’s in them and that they’re safe.